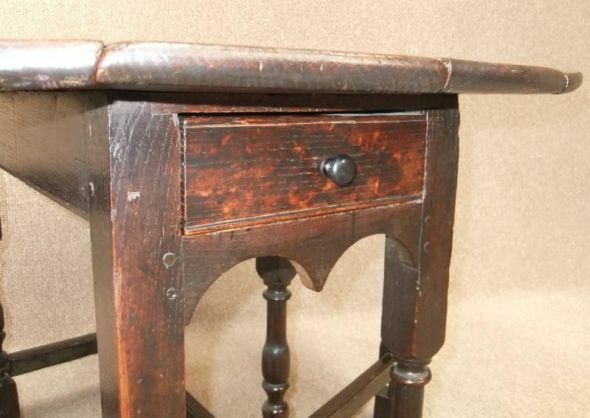 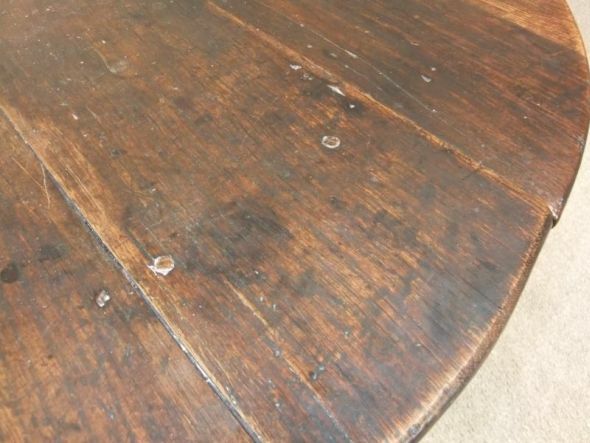 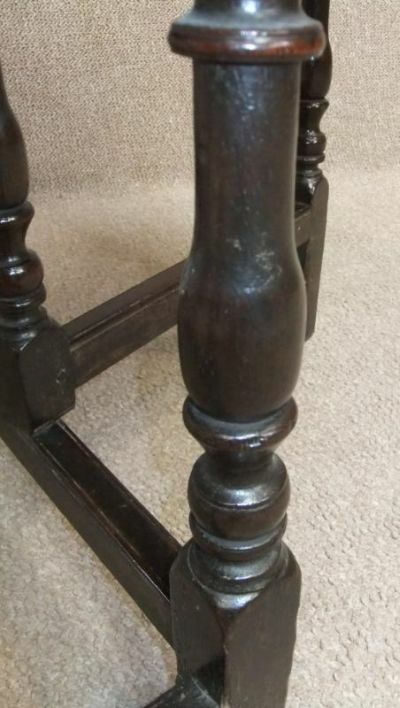 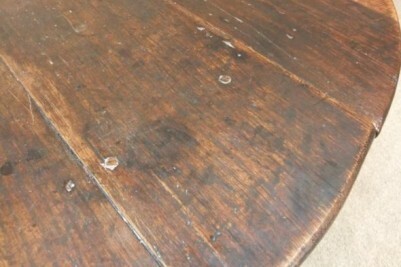 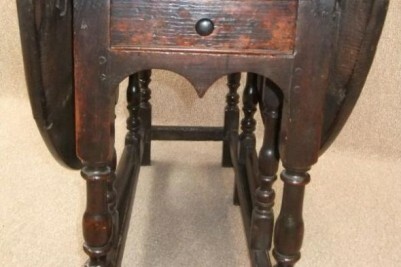 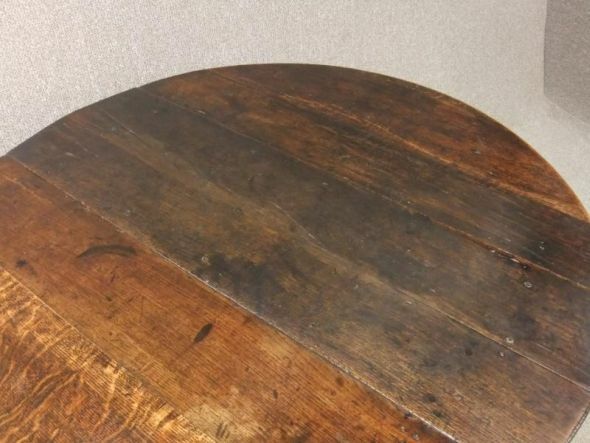 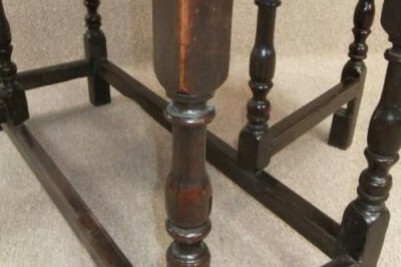 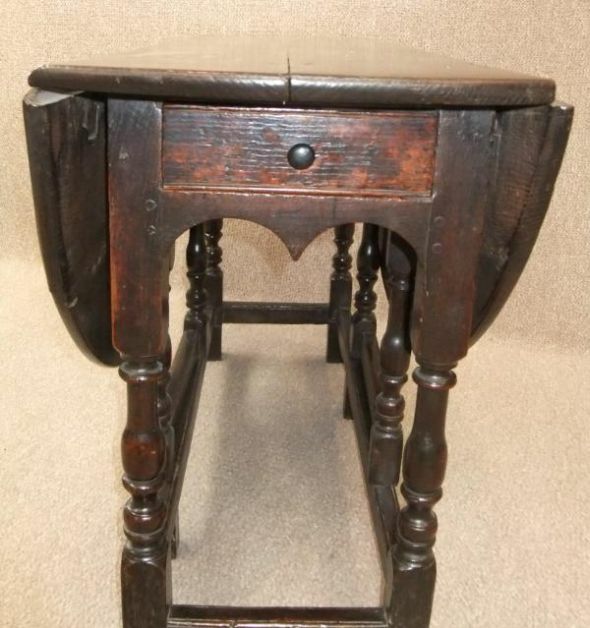 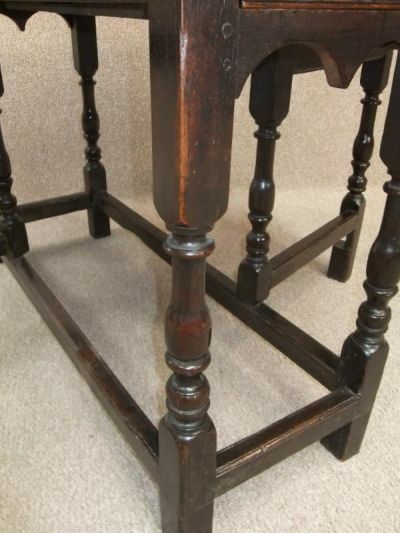 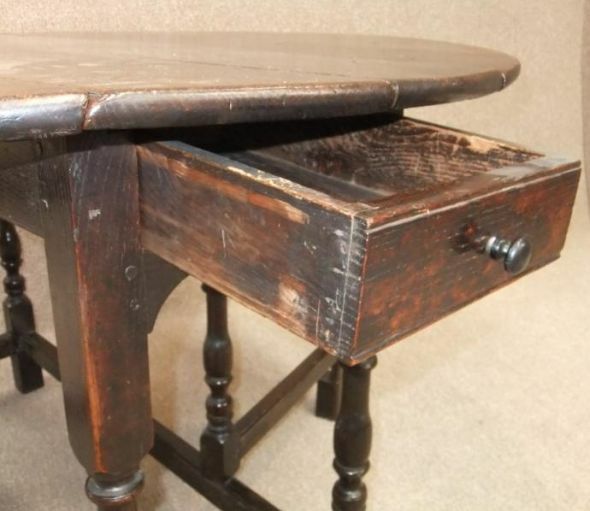 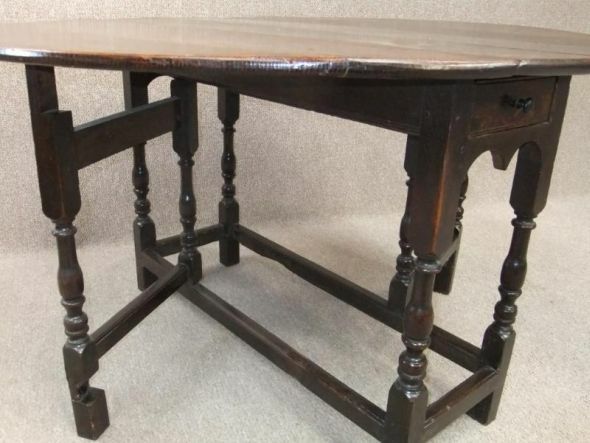 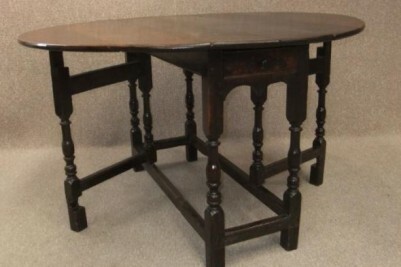 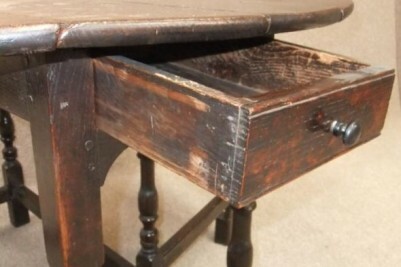 17th Century oak drop leaf table. 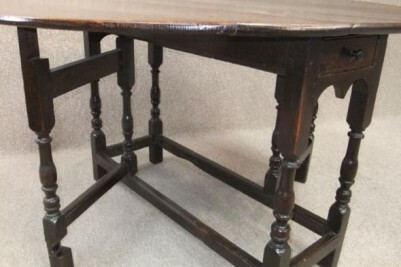 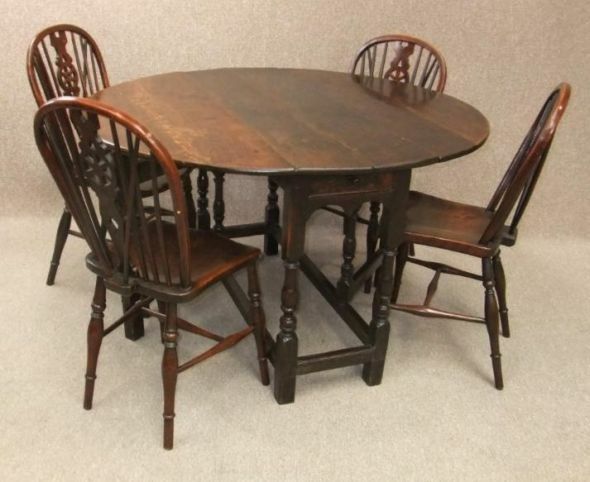 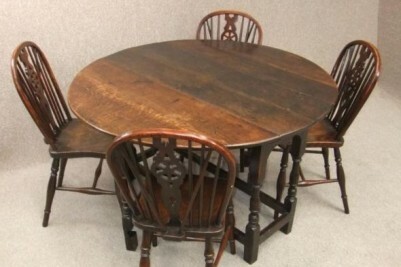 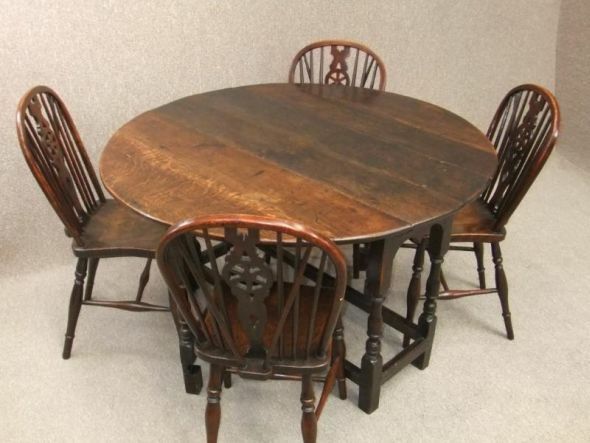 A magnificent piece of classic English furniture dating from the 17th Century. 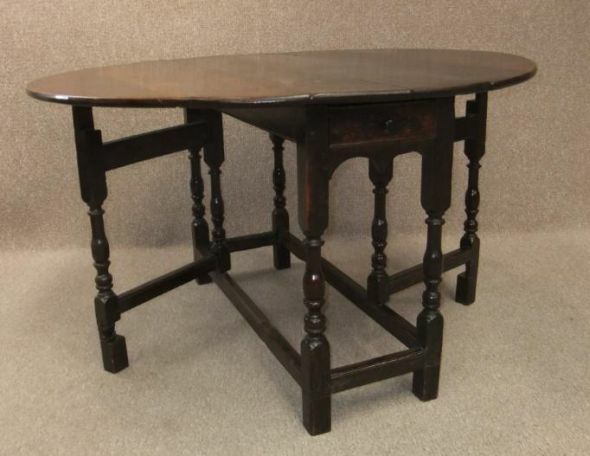 This table has a beautiful turned base which features a single drawer to one end, and two large drop down leaves. 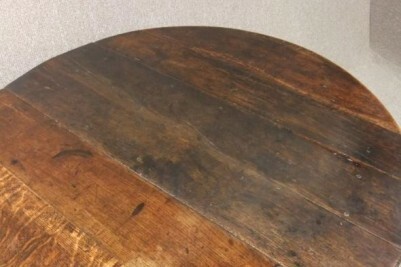 We believe that one of the leaves has been changed at some stage during its lifetime, but this is common for a piece of this age. 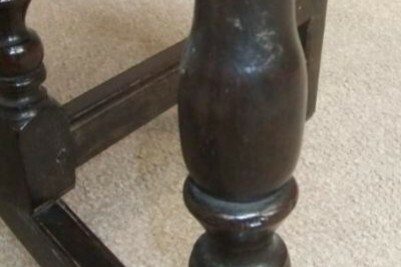 There are some blocks that have also been added to the feet. 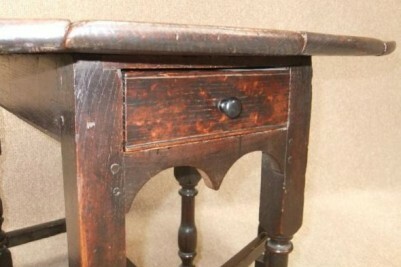 This is still a distinguished piece of classic English furniture. 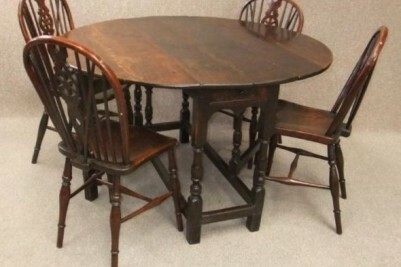 Please note, the chairs pictured are not included in the listing, but can be purchased separately.